Upon returning to her home in Fiji, she could not find a job. “I was struggling,” she said, explaining the day she decided to seek help from Elder Dean and Sister Joyce Clark who have served as full-time humanitarian missionaries for the Latter-day Saints Church in Fiji. She was attending a training counsel when she approached them. The Clark’s, who are from Dana Point, California, were overseeing the Church’s efforts in Suva to help create diabetes education and treatment programs as a part of their missionary assignment. Elder Clark is a retired medical professional who specialises in podiatry. “I feel they were angels who were sent to teach me a lot of things,” Laisa explained. Although she had planned for a career in commerce, she now dreams of helping her native people avoid diabetes. 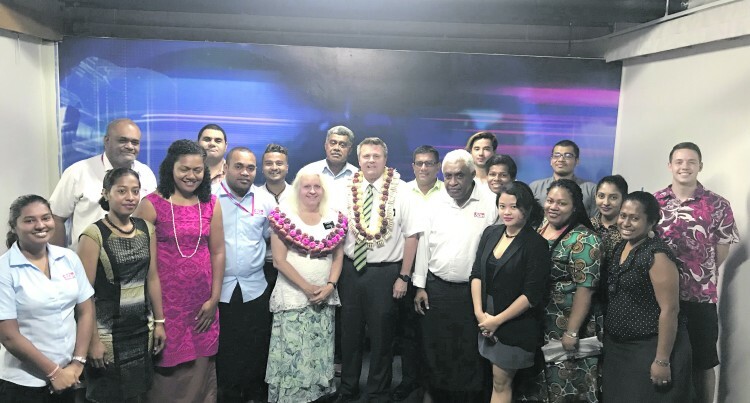 According to the Fiji Ministry of Health, 30 per cent of the population in Fiji has Diabetes, and the country has the world’s second highest death rate per capita from the disease that affects both young and old. “I want to be an inspiration,” she said. Thanks to the laptop, Laisa showed the centre’s leaders how to use an existing software programme that simplified the process. Her efforts have had a major impact on patient care. “It is such a blessing,” she said, describing her experiences and that she has increased her own personal self-reliance.